This year, China Power aims to achieve its annual electricity generation goal, while all departments proactively develop the electricity market. Given the power supply-demand imbalance, China Power has successfully made a breakthrough and got an upper hand. 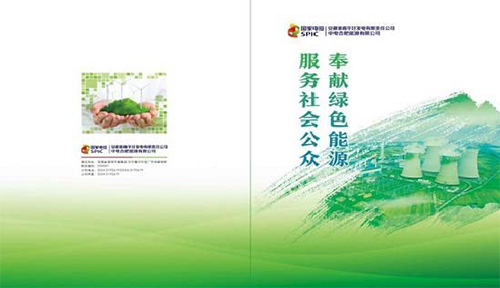 China Power implemented innovative brand promotion campaigns to create brand effect. Staying on-trend, the company opened an official WeChat account as its marketing platform, attracting the attention of many users. Meanwhile, the company also carried out conventional promotions, such as printing electricity sales brochures, to cater to “traditional” users. These innovative and traditional promotions were well perceived by users. At the same time, all departments gave free rein to their imagination and creativity to enhance the promotion of the electricity brands by making use of different channels and occasion-based marketing strategy. Specifically, the company established electricity sales service center, provided electricity sales business-specific vehicles, built brand walls for electricity sales service, and bolstered promotions based on hot topics such as the World Cup and the National College Entrance Examination. Adhering to the marketing principle of “customers are the king”, the company endeavors to bring the best service to users with a view to solving problems for them and increasing their stickiness. First, the company offered safety monitoring and energy conservation diagnosis service to users and issued the Safety Monitoring Report and the Insulating Products Examination Report in order to strengthen protection for the public in the use of electricity and improve user trust; second, customer return visit record card is designed to seek opinions from users so as to know more about their needs for energy management and equipment maintenance and improve service quality; third, exchanges and communication in launching comprehensive energy business were facilitated between the company and users in the hope of expanding the scope of business; fourth, the company initiated social interactive activities for users such as “Be with you”, aiming to increase communication channels and user stickiness; fifth, the company kept quality users engaged through simultaneous sales of thermal electricity and coal-fired power business. The above measures are clear indications of the company’s strengths and its caring attitude to users. China Power has built an experienced team of talents with an aim to improve its marketing capability. 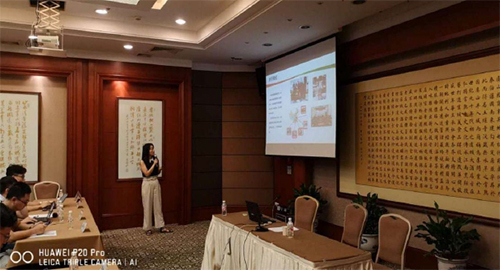 The company organized trainings on marketing management in Changshu in which it introduced the marketing capability of its electricity sales companies for the first time. The trainings not only received overwhelming response and compliments from employees but also enhanced the face-to-face marketing capability of marketing personnel. The trainings were based on real scenes in which the electricity sales companies introduced their background to electricity users while other employees who played the role of electricity users evaluated the performance of the companies. A group of talented marketing personnel were selected through on-site evaluation and online discussion. At the same time, taking into account their own requirements, all departments made continuous effort to enhance the electricity marketing business and to gain better understanding of the value-added service for users. Through organizing wide-ranging marketing trainings and learning sessions, the departments have successfully drove the initiative of employees and improved the quality of value-added service for users. Since the summer has set in, all departments of China Power seized the opportunities arising from the escalating electricity demand due to the scorching hot weather in order to increase electricity generation. The Fuxi No.2 machine unit achieved grid connection on 26 July. Thereafter, China Power has 25 coal-fired machine units (including Changshu Power Plant) connecting to the grid. This is the first time that China Power achieved grid connection for all its machine units in recent years. As of the end of August, there were 20 coal-fired machine units, 3 coal-fired machine units and 1 coal-fired machine unit in operation for over 100 days, 200 days and 300 days, respectively. In order to ensure stable power generation during the summertime, China Power issued the Notice on Getting Well-prepared for the Summer of 2018. Pursuant to which, all departments shall strictly perform the duties for safe production, initiate targeted emergency drills and increase equipment reliability. Meanwhile, all departments of China Power shall in a timely manner establish corresponding work leader groups to coordinate and direct the work in the summer. During the summer, all departments shall proactively uphold the “inclusive” culture and demonstrate resilience. On the other hand, beginning with ensuring the safety and stability of machine units, they shall make advances on project management, undertake safety responsibilities, enhance equipment transformation and strengthen investigation on hidden dangers, so as to improve the quality of coals and ensure normal operation of machine units. The departments also organized the Hidden Dangers Investigation Contest and implemented the operation leader entourage system, while the leaders participated in various activities on safe production day. In the safe production month, anti-accident drills were conducted on a large scale in order to enhance employees’ safety awareness and create conditions for the increase of power generation in the summertime. Happiness and achievements are earned from hard work. 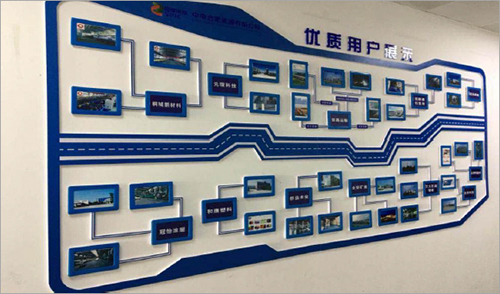 As an established power generation company with intelligence and decisiveness, China Power designs and implements precise policy and works diligently in response to the country’s energy structure reform.